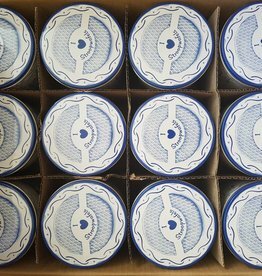 Great that you reached this Dutch Delft Blue Stroopwafel page. You might tried stroopwafels in the Netherlands and know the classic taste of stroopwafels. 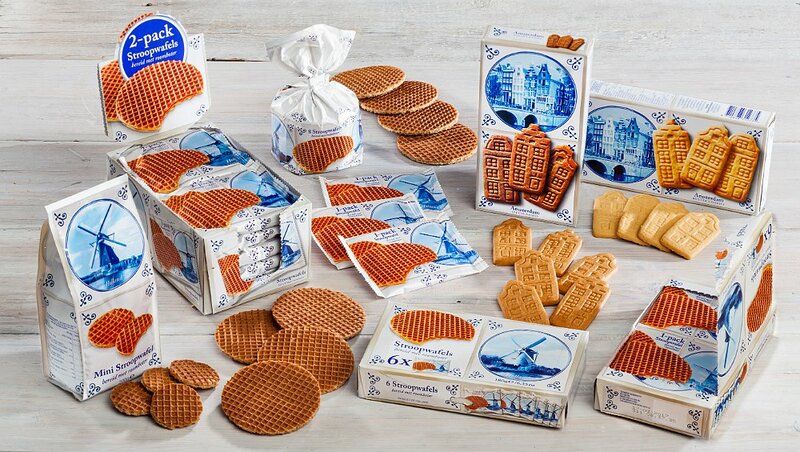 Stroopwafels are originally from the Netherlands to be specific from Gouda. 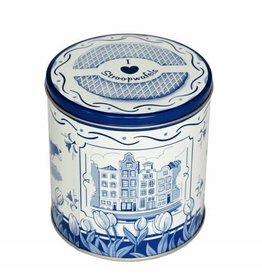 This delft blue stroopwafel line is perfect when it comes to export the stroopwafels to your country. There are different kind of stroopwafels as you can see. 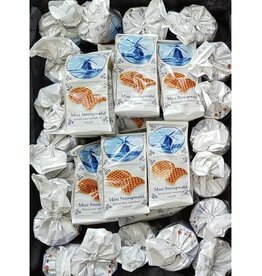 The differentiation is regular size stroopwafels, mini's, individual one-pack wrapped, double two-pack wrapped stroopwafels and stroopwafel (protection) tins. 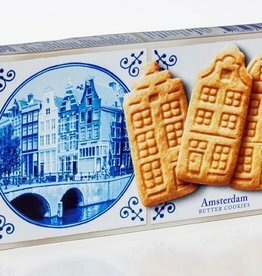 In the same Delft Blue line we offer some butter cookies and Amsterdam Speculaasjes. The waffle packaging contains different type of languages, like: Dutch, English, Deutsch, French, Arabic and Spanish. Are you going on holiday very soon? 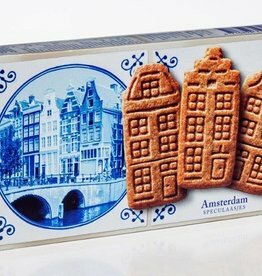 Don't forget to bring your delicious authentic Dutch stroopwafels. Delft blue stroopwafel tin including dutch Syrupwaffles!